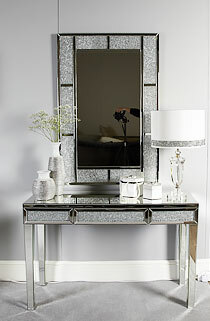 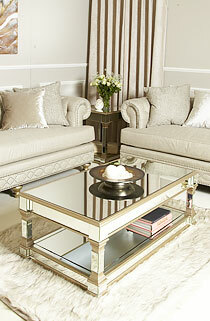 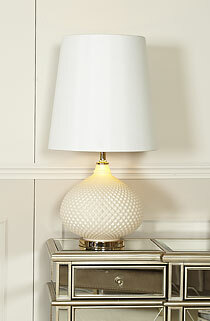 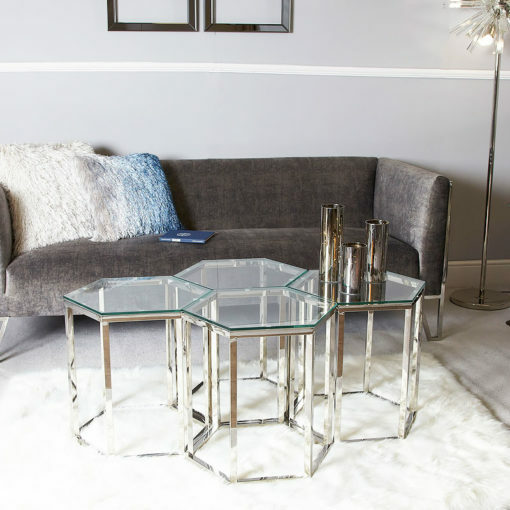 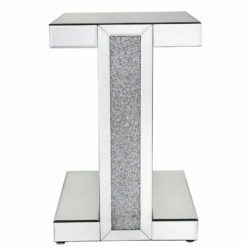 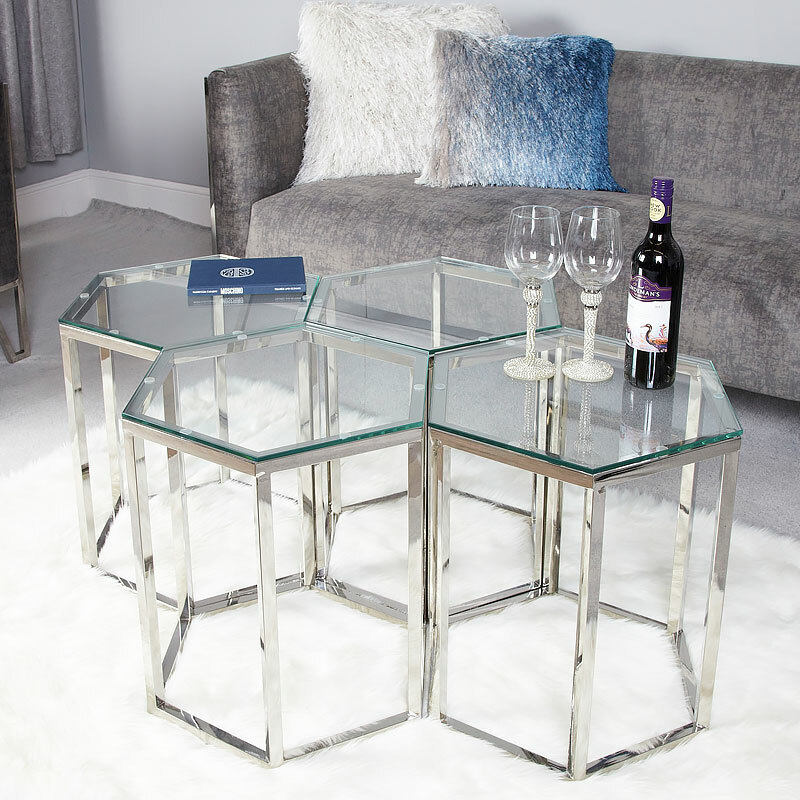 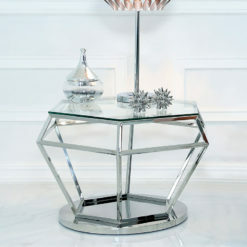 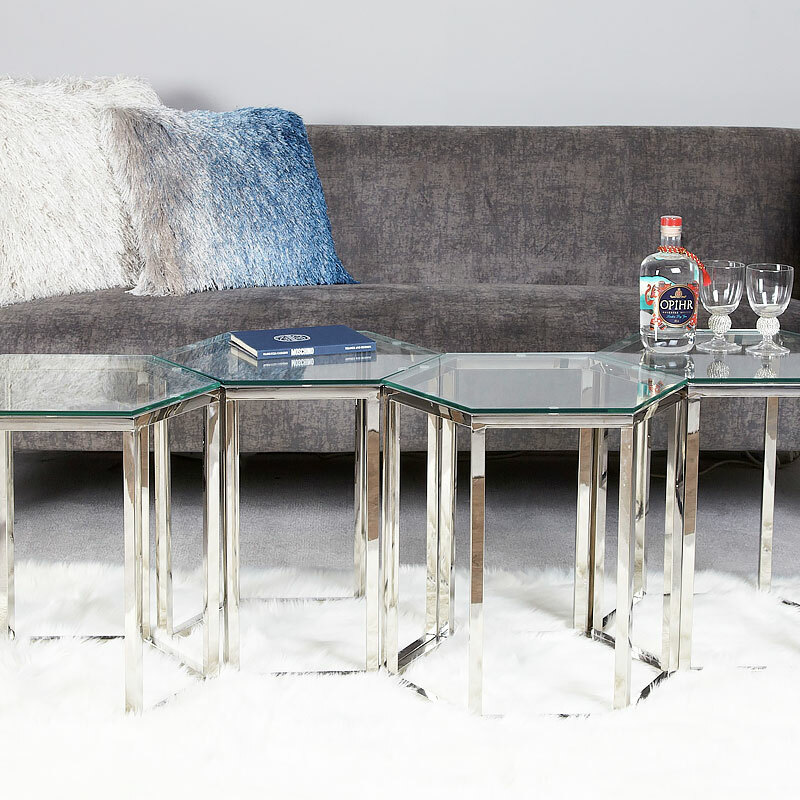 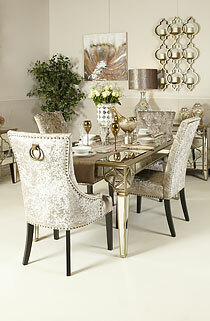 Fleur hexagon silver stainless steel end table featuring a stainless steel base holding a toughened glass tabletop. 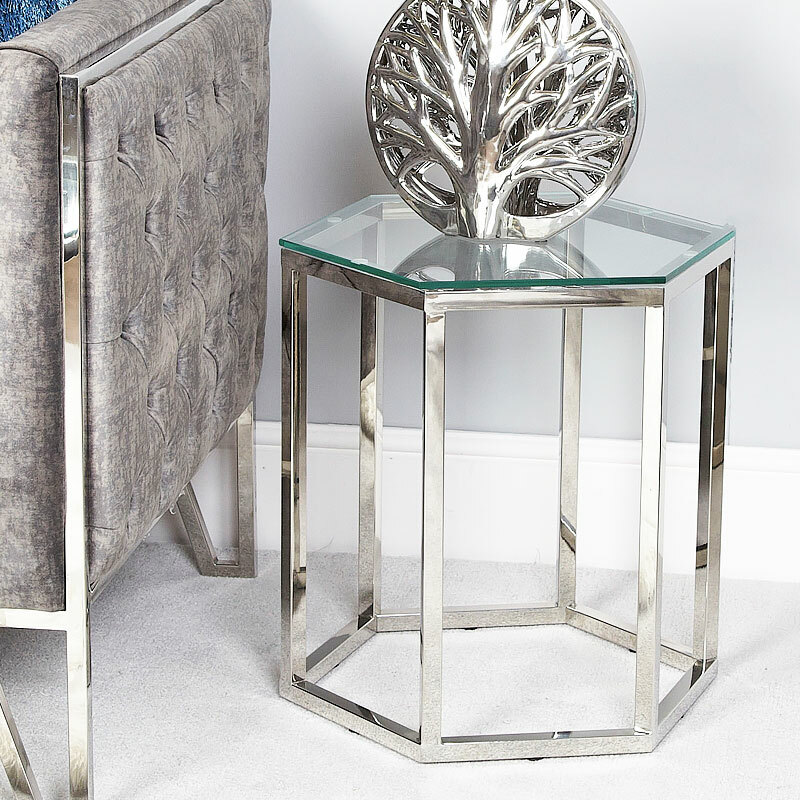 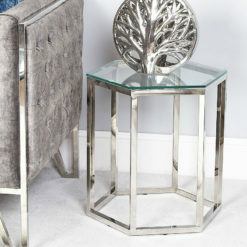 Simple yet effective, the hexagon stainless steel end table will look effortlessly stylish in any living room or bedroom. 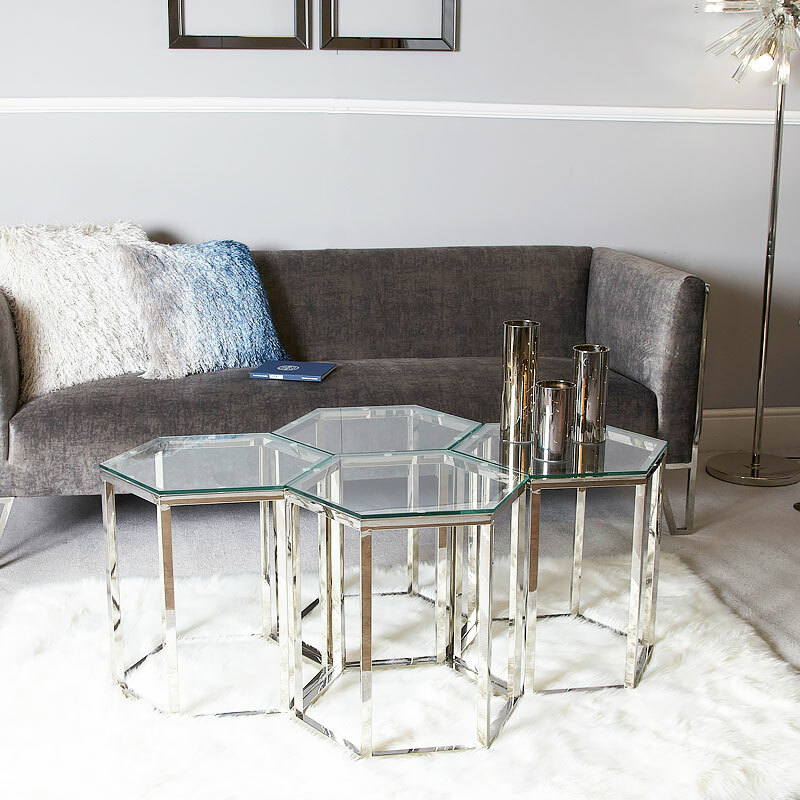 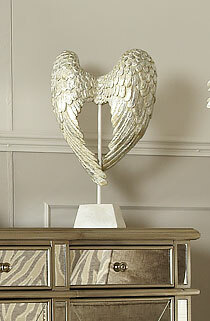 A sturdy stainless steel base holds a toughened glass table top, perfect for a photo frame, telephone or vase. 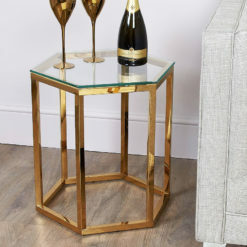 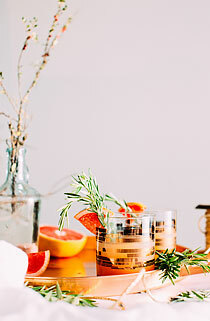 Or how about ordering a cluster of tables and constructing a clever honeycomb mid-room feature for the lounge which could then be split up to give guests an individual drinks side table when entertaining or for parties. 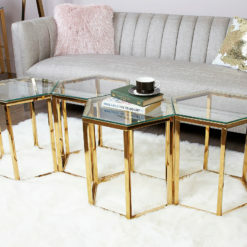 This versatile table with tempered glass will withstand daily use and is also available with a gold metal coloured base frame.